Bar-coding application easily generate readable, scanable and printable barcode labels to easily track and manage entire Inventory and Retail businesses details in easy way. Using barcode label maker tool, you can simply design and create customized barcode images in 2D and Linear font symbologies. It doesn’t matter your industry is big or small, Business labeling tool can easily generate printable and scanable barcode labels for all type of business organization. We recommend you, don’t waste your money again and again on buying barcode labels to fulfill business labeling needs. Purchase Retail business barcode label maker software and make barcode labels yourself. Bar code software supports all major Linear and 2D barcode fonts including coda bar, Aztec to generate inventory and retails barcode labels. Barcode maker software provides option to print multiple copies of same barcode label at single page very easily in minimal time duration. Creates multiple barcodes lists using Sequential Series, Constant Value Series and Random Series options with advance barcode system. 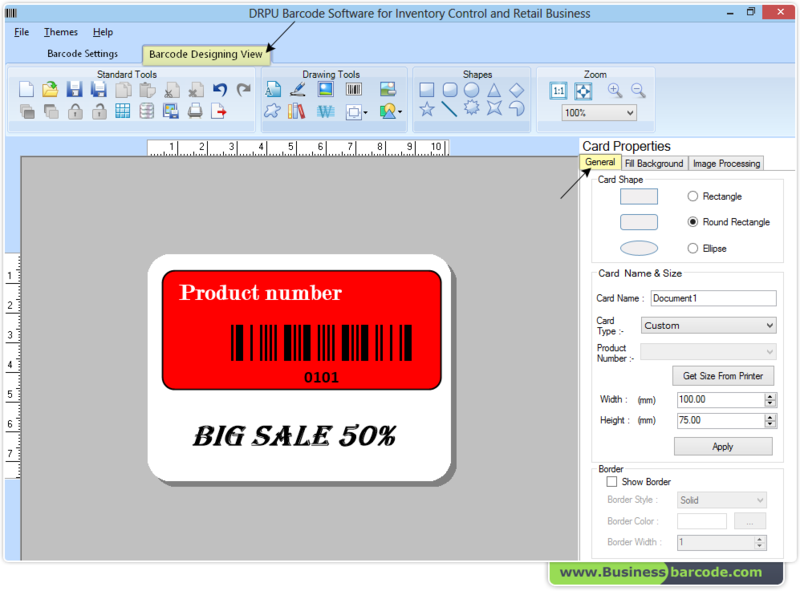 Software create customized inventory and retail barcode labels with available Font settings (2D and Linear), Color settings and Image settings.